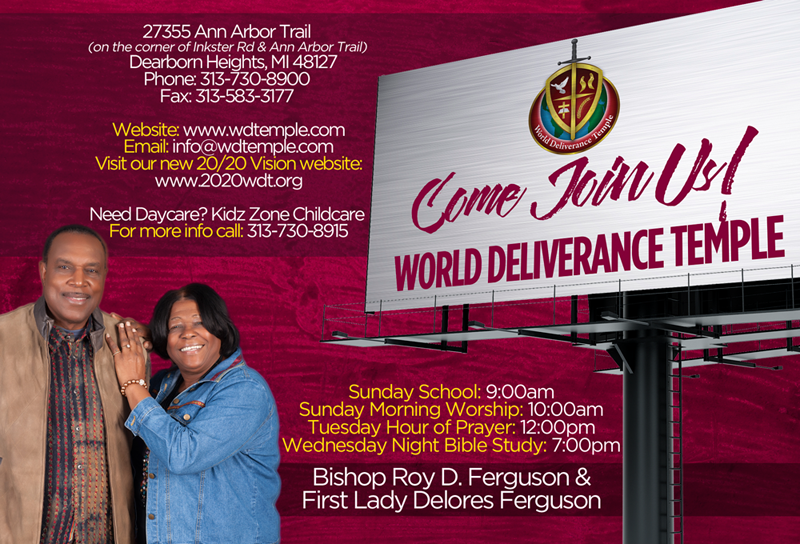 World Deliverance Temple (WDT) began as International Deliverance Tabernacle at Benhan Hall in Southfield, Michigan on March 22, 1998 under the pastorate of Elder Roy D. Ferguson. The first service was remarkable as fifty people were fellowshipped in as members. Elder Roy D. Ferguson was no novice in church dealings. He had amassed thirty-two years of experience at International Gospel Center under the leadership of Dr. Charles O' Miles. During his tenure there, Pastor Ferguson labored as a young minister and after appropriate seasoning was ordained as an Elder. That leadership position called for him to be responsible for the three thousand plus parishioners in terms of marriage counseling, visiting the sick, conducting marriage ceremonies and funeral services. In June of 1999, WDT produced a live production recording entitled "The Genesis" with Elder Ferguson as its Executive Producer. This musical CD featured The World Deliverance Inspirational Choir and friends such as renowned recording artists LaShaun Pace and Esther Smith. Sales from this CD, along with generous contributions from the members enabled the church to purchase the building at the current location. In December of 1999, WDT moved to into the new building. Elder Ferguson soon became Bishop-Elect Ferguson as God continued to elevate him and grow his ministry. Bishop-Elect Ferguson had a vision of a beautiful sanctuary with upgrades to the exterior, as well. After one short year, WDT began the 1.5 million-dollar renovation project. Now completed, the state of the art facility has 24,000 square feet of space, a completely redesigned exterior, complete with a refurbished parking lot and beautifully landscaped grounds. The interior now has a new administrative wing and a day care facility “Kidz Zone” complete with training classrooms and computers. New pews, elegant carpeting, chandeliers and a sound system adorn the sanctuary with a seating capacity of 1000 people. Bishop-Elect Ferguson was consecrated to the office of a Bishop in April 2004, as he continued to pastor his local church. In preparation for his elevation, he obtained a degree from the Joint College of African-American Pentecostal Bishops which concluded with a final pilgrimage to Rome, Italy, including a visit to the Vatican and an audience with Pope John Paul II. He currently holds standing membership with the JCAAPB. He is also, a member of the Governors' Ecumenical Council of Clergy Advisory Board. Currently, WDT has a growing, vibrant, and diverse membership. There is a blend of professionals and blue collar, African-American and Caucasian, young and old, male and female. The culture of the ministry is friendly, loving, outgoing and harmonious. In addition, WDT is an evangelistic ministry with ministers that travel the globe to preach the gospel of Jesus Christ. Bishop Ferguson himself has organized and led many life-changing pilgrimages from the United States to the Holy Land. These sacred journeys have become one of WDT's signature ministries. Bishop Ferguson has a progressive plan for the ministry that is dedicated to improving the lives of our congregation, supporting those in need and providing services to our neighbors in the surrounding community. His plan is called “The 20/20 Vision” and its implementation is well underway as God has opened the pathway to land acquisition, community outreach and financial freedom. The vision is to provide affordable senior living, market-rate housing, a new school facility. The expansion of the current daycare facility, Kidz Zone, is a true success story that is directly related to Bishop Ferguson’s forward thinking and the launch of his 20/20 Vision plan. Bishop Roy D. Ferguson was born in Marion, Louisiana, on September 21, 1948 where he grew up on a small farm in the rural south. After graduating from high school in May 1966, he matriculated at Southern University, Baton Rouge, La, where he studied engineering preparatory courses. After the first year of study at Southern University, he decided to move to Detroit, MI. Realizing and accepting the need for spiritual development, he committed his life to Christ and joined the International Gospel Center Church in 1966. He became an Ordained Elder in 1970. This leadership position required good moral character, a sense of dedication and a genuine passion for hurting people. Visiting the sick and shut-in were a major part of his duties, in addition to performing funerals, weddings and counseling other parishioners. Roy began his illustrious secular career as an hourly production worker at Ford Motor Company in August 1967. Quickly, he began his meteoric rise within the company. In 1969, he entered the Ford skilled trades Apprenticeship Program of plumbing/pipefitting and attained the journeyman status by 1973. Moreover, Elder Ferguson matriculated through Wayne State University, earning a B.S. in Manufacturing/Industrial Engineering Technology in 1977. He then changed careers from a journeyman skilled tradesman to a salaried manufacturing engineering position. By 1980, he had earned a M.A. in Business Management from Central Michigan University. His commitment to the pursuit of excellence did not go unnoticed by the management team on his job. The rank of engineering supervisor was gained by 1986. Promotion was again the order of the day in1988 when he became productivity manager. Senior level management elevation occurred in 1989 in the form of modernization manager. At this top-level position, he became responsible for an eighty- million dollar plant renovation program. His attention to detail and the ability to see the big picture made the project a success. Again he was rewarded for his diligence. This time as the area-manufacturing manager in 1992. The position called for the responsibility of ninety-six million dollars in assets that yielded sales revenue of four hundred twenty million dollars annually and the supervision of over 11 hundred hourly and salaried employees. 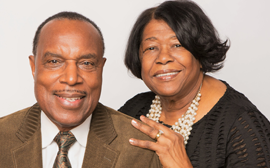 Elder Ferguson’s unique personal combination of business acumen and spirituality was being thoroughly developed and in 1998, he stepped out and formed World Deliverance Temple Church in Southfield, MI. As Pastor of fifty people at the first service, he recognized he had a responsibility that demanded all of the experience he had gained up to that point. 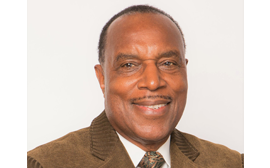 Undaunted, Pastor Ferguson remained at Ford Motor Company in the positions of global marketing sales/service manager and manufacturing engineering and strategy manager until his retirement in 2001. At the same time, he pastored a growing congregation that needed guidance and nurturing in addition to developing a vision for the people. World Deliverance Temple moved to Dearborn Heights, MI in 1999, where they purchased a 24,000 sq ft facility, positioned on 2.5 acres of land and now the ministry has grown to over six hundred members. In 2001, the building underwent a $1.5 million renovation and expansion program that included upgrades to the office wing, fellowship hall, sanctuary and provisions for a daycare. Pastor Ferguson used all of his expertise to lead the project to completion. Pastor Ferguson did not leave his community behind. He personally developed an entire city block in Romulus, MI by either renovating existing homes or building homes from the ground up. He has received numerous accommodations/accolades from mayors, other elected city officials and the President of the United States for his community achievements. In November of 2003, after completing all the requirements for his doctorate, a Doctor of Ministry degree was conferred upon him. He also completed work on his dissertation entitled “Poverty shall No Longer knock At Thy Door,” and received a Ph.D. in Religious Studies in 2004. In addition, an honorary Doctorate in Divinity was conferred upon him in May of 2004, for his outstanding lifetime achievement in religious, business and community development. Pastor Ferguson was consecrated to the office of bishop in April 2004. In preparation for his elevation, he has also, obtained a degree from the African American College of Bishops which concluded with a final pilgrimage to Rome, Italy, including a visit to the Vatican and an audience with the Pope. Currently he has led 6 pilgrimages to the Holy Land. Bishop Ferguson currently oversees a group of pastors in the greater Detroit area. He is also the CEO of World Community Impact which has unveiled a five year campus expansion initiative called: 20/20 Vision that includes building a senior’s living facility, childcare center expansion and commercial building. 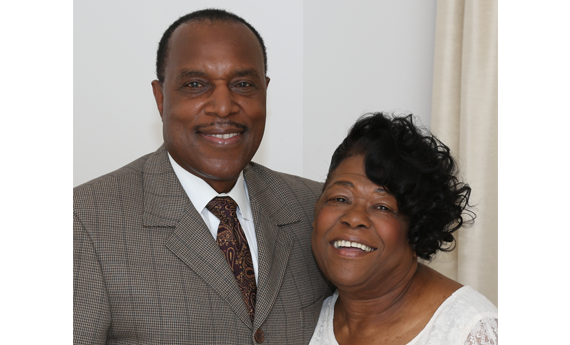 Bishop Roy D. Ferguson is married to Co-Pastor Delores Ferguson and will be celebrating 50 years of marital bliss on August 3, 2018. They have three children, Brandon (Erin) and twins Lindsey and Jemika and two grandchildren: Zoe and Asa. Bishop Ferguson is a man of excellence, who impacts the community, the nation and the world. 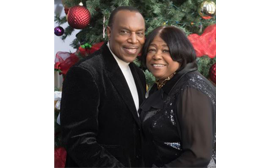 Evangelist Delores Ferguson is Co-Pastor of World Deliverance Temple along side her husband Bishop Roy D. Ferguson who is the Pastor & Founder of the ministry. With the spirit of love, giving, and compassion, Evg. Ferguson does whatever her hands find to do for the ministry. She founded the “Women of Charity”. The purpose was to help those who are in need by providing food baskets, clothes, and shoes. 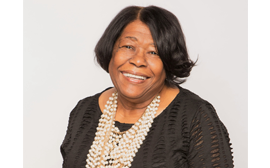 As the spiritual leader for all of the women of WDT, she coordinates the Annual Women’s Conference and has held many Women’s Retreats to encourage and unify the women of WDT to go higher in God. Evg. Ferguson has traveled extensively here and abroad, including six trips to the Holy Land, enthusiastically going about the evangelistic work she was called to do. In 2004, she received National Certification as a Certified Counselor through the Friends International Christian University. 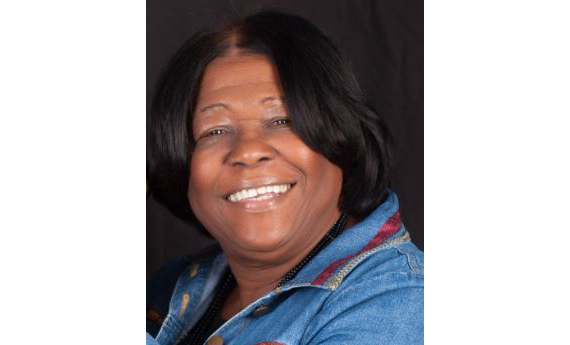 In 2016, Co-Pastor Ferguson supported her husband, Bishop Roy D. Ferguson’s release of his first published book: Poverty Shall No Longer Knock at Thy Door. She proudly wrote a full chapter on their love story and how to be a supportive wife in the book. Evg. 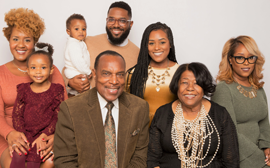 Delores Ferguson has been married to Bishop Roy D. Ferguson for 50 years and together they have 3 on-fire-for-God adult children, Brandon (Erin) and twins Lindsey and Jemika and two grandchildren (Zoe and Asa). Co-Pastor is the epitome of a Proverbs 31 woman and the fruits of her labor are displayed through the gifts and talents of her family and also through the love she has shown not only to the surrounding communities-but to the entire world. She is a true woman of grace and her kindness is unmatched. To know Co-Pastor Ferguson is to love her and have a friend for life. Be our guest! Come visit us and experience a warm and welcoming family that spreads God’s love! I know how busy you both are, but from time to time I must acknowledge the spirit of the Holy Ghost. Bishop, you recently preached a prolific message during Sunday morning worship! The anointing was in the overflow. I love you both dearly and I love coming to service with my mind ready to receive spiritual food. I am so glad to be under your leadership. I love being a Greeter, working with the Titus II Women’s Group and most of all, I am living in the powerful anointing of the Holy Ghost. I live in joy, love and peace. In a world I know how to pray, fast and praise God. I am living my best life! I won’t and can’t turn back because God has done too much for me! Thank you for the kind words the other day. I don’t play games with my salvation, I shut down all negativity. I give it all to Him. Bishop and Co-Pastor, please know that I am in…all the way. Being at my church home is truly fulfilling.